EdTech Blog Let's Get Clever! 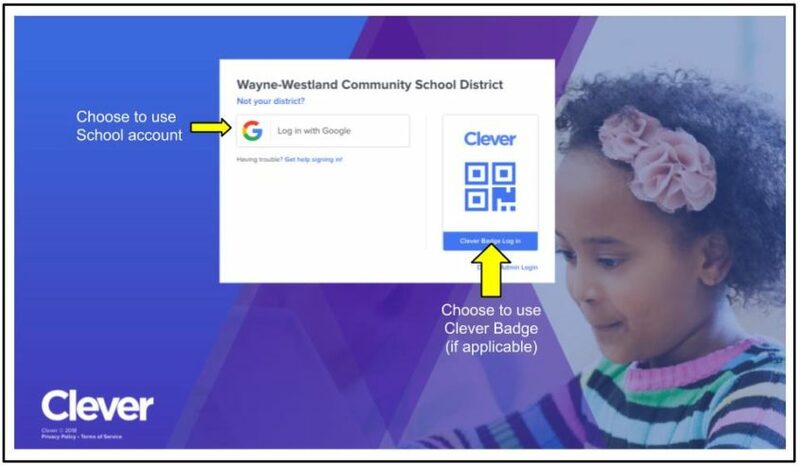 Clever is a portal that allows students to sign into their school Google accounts and view a set dashboard. 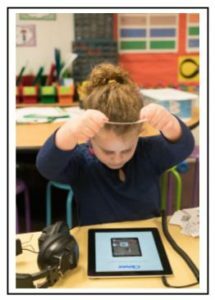 Depending on the grade of the student they have two options to login: district Google login or QR badge (K-2). 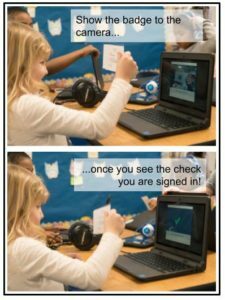 Using the Clever portal allow students to access some of the district accounts, such as Compass Learning (K-8), without having to sign in multiple times. Note: In order to sign in using the Clever QR Badge, you will need a device connected camera. If a camera is not available, students can still use their district Google account to login. Some district devices have been enabled for Clever. Usually these are Chromebooks or Chromebases in district computer labs. 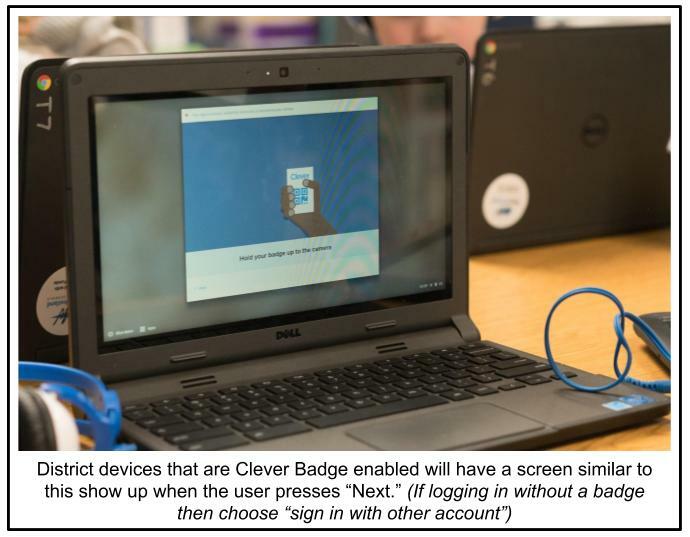 Please see example picture of Clever Badge Enabled District Device. Show the badge to the camera. The Clever window will open; choose “Sign in with Google”, select your name and you will be signed into the portal. In order to use the Clever QR badges, the device being used will need a connected camera. Logging out: Logout by clicking the upper right corner (your name) and choose sign out.